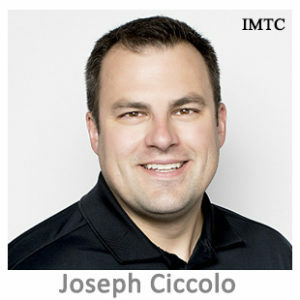 Joe Ciccolo is the Founder & President of BitAML, a compliance advisory firm exclusively serving the bitcoin and cryptocurrency market. Before launching BitAML, Joe spent over a decade in high-impact compliance roles with leading financial institutions. He was a founding member and architect of a Bank Security Act and Anti-Money Laundering program for a top 100 U.S. online financial institution and also worked as a project manager for a top 20 international bank, where he managed MSB regulatory and AML audit remediation projects. He has additional leadership experience working on projects in risk management, vendor due diligence, fraud prevention, and corporate investigations. He also volunteers his time with the Blockchain Education Network, an international student-led non-profit promoting research and innovation in blockchain and crypto. Joe is a Certified Anti-Money Laundering Specialist, Certified Fraud Examiner, and an Anti-Money Laundering Certified Associate. He is a graduate of Northeastern University’s College of Criminal Justice. Joe is a frequent presenter at cryptocurrency, payments, and compliance industry events. He regularly consults with bankers on the onboarding of crypto customers, as well as government policymakers and law enforcement.